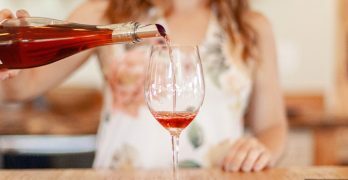 In the wine business, there are many qualifications and titles that project accomplishment, and numerous organizations that offer the necessary education and testing. Sommelier had a nice ring to it, so I decide to enter the gauntlet that is the Court of Master Sommeliers, having no idea what lay ahead. I learned there are 4 levels to that program: 1) Introductory, 2) Certified, 3) Advanced, and 4) Master. The mentoring from which I so benefitted during my news days would be mandatory if I hoped to survive this brave new world. Fortunately, the wine world isn’t just full of wine snobs. There are countless educated people in the wine business who genuinely enjoy sharing their knowledge with others. I quickly hitched my wagon to a friend who was studying to become a Master Sommelier with the Court of Masters. His level of study was fare more intense that mine, but he was happy to have me tag along and join his tasting group, an integral component to unlocking the secrets of ‘blind tasting’. Concealing a wine’s identity and trying to determine its origin and age solely by what’s in the glass is a daunting task. But, with the right methodology (the Court of Masters’ methodology) and plenty of practice, it can be mastered. However, for someone who had never worked in a restaurant, the Court’s required service component would be far more frightening for me. Luckily, the same gracious tutor also offered to mentor me on what would be expected for the exam’s nerve-racking service component. In addition to the blind tasting and service elements, as with most tests, there would be a written portion. The course syllabus’ suggesting reading listed about 20 scholarly wine publications written by renowned wine authors, each of them encyclopedic in size. Unlike the group tastings, this would be independent study. But where in the world would I find the time to read through tens of thousands of pages on the world’s wine types, regions, clones, soils, maps, graphs, and history, not to mention myriad different grape-growing and wine-making practices? During my previous decades in news coverage, I had tried to understand the elusive path towards middle-Eastern peace. That path looked far easier than the Sommelier track, which I was contemplating. 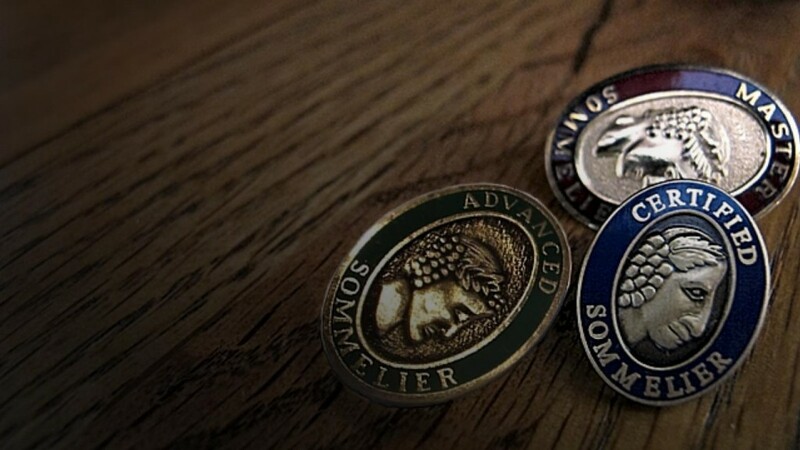 Through the course of the next year, and after numerous blind tastings, early morning map studies, and a crash course in wine service, I somehow survived the first two levels of the Court of Master Sommeliers to become an official Certified Sommelier. Both the process and the achievement were a confidence-builder in my new profession. Whether with clients or colleagues, I could more freely and comfortably discuss all things wine-related. Additionally, that confidence opened up doors. Job opportunities appeared and introductions were made to collectors and vintners. 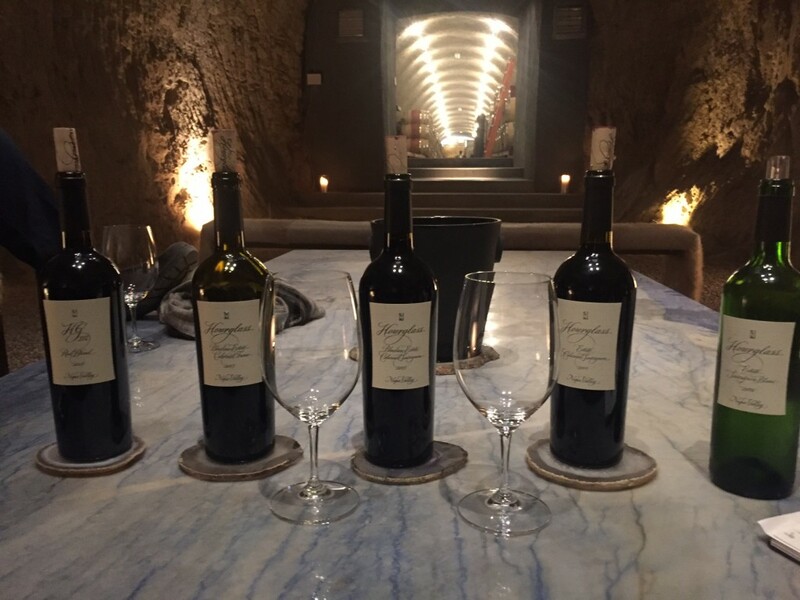 I worked with a Paso Robles winemaker to produce two vintages of my own wine; Cab2, a blend of Cabernet Franc and Cabernet Sauvignon. It was an enlightening and successful endeavor but the long-distance relationship proved too challenging. I began attending casual wine groups with friends. Eventually, I was invited to join and inducted into the esteemed Confrèrie des Chevaliers du Tastevin. Regardless of how lofty or pedestrian the group may be, the goal is to enjoy fine wine with good friends… which always pairs nicely with any wine. 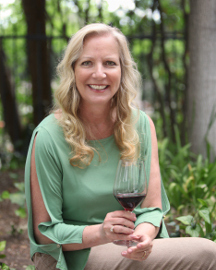 While my passion for wine became a full-time focus, professionally, I carved out a comfortable niche consulting for restaurants on a part-time basis, sharing my knowledge when needed. This allowed for an occasional return to journalism, producing interesting projects, also on a part-time basis. I was able to simultaneously pursue my two interests; wine and journalism.With two part-time pursuits, I could devote attention towards writing a memoir about those halcyon days spent abroad. As that rough manuscript became a finished book, I reflected on my earlier journeys. And, it became apparent that two different seeds had been planted at the same time. My young journalistic roots had grown intertwined with a budding love of wine. It would be a long and fruitful evolution that would last a lifetime. NEW YORK (PRWEB) – John Szabo, Master Sommelier and award-winning author, has announced the inaugural ‘International Volcanic Wines Conference (IVWC)’ to be held in New York City on March 27, 2018. 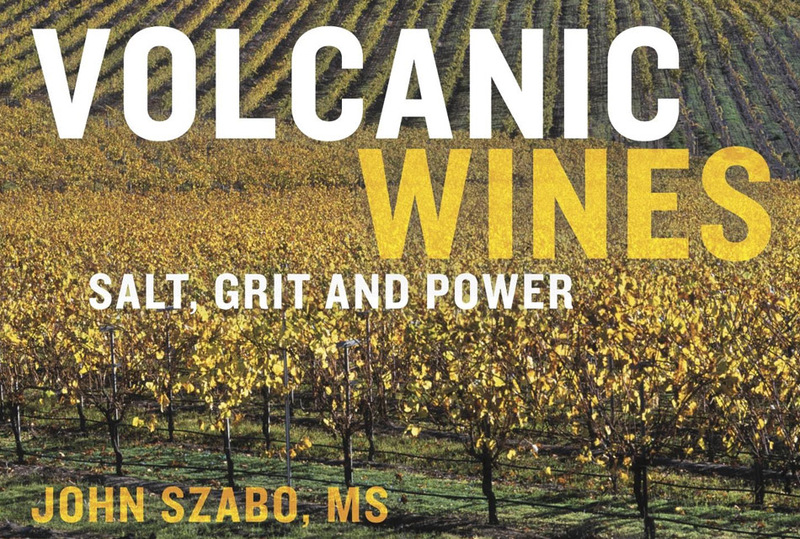 The event follows the global success of his definitive book on the subject, ‘Volcanic Wines: Salt, Grit and Power,’ published in 2016. There is a little more magic to mention: the invisible cellar, the shuttered chateau. But I do not want to emphasize this. Xavier does not play any of this up: like the vineyards, all of this disappears. There is no show: only wine. He does not even make a show of his methods; he never mentions his own devotion; he never draws distinctions between his way of working and his neighbors’. He does not celebrate or elevate what he does; he is utterly matter of fact. He never mentions “purity” or any other value. His only point of pride, if I read him right, is his wine’s relation to time. His only theory, insofar as I could grasp, is related to what he calls “matière”– “matter.” His labels have alchemical references (see photo); I think that he means something old-fashioned and metaphysical by this. He does not just mean “matter” or even something like information. He talks about his farming being devoted to translating matter from the field (not just the soil) to the grapes, and his pressing being devoted to translating the matter from the grapes to the juice. The density of this wine is due to this attention to matter– and also the complexity, I think. But this means that “matière” is not just some concentration of molecules, but some kind of system, with architecture, proportion, interrelation. For what else is complexity? His matter, I think, is something more like spirit or soul– not necessarily in the Christian sense, but in a way that Aristotle would understand. Soul, of course, brings up the question of spirituality and devotion. I thought of his pressing all night and then getting up the morning to harvest fruit. I thought how differently we work at Scholium. For us winemaking is intensely intellectual and sensual– you know that– but it is also intensely athletic in a way that we love. We pride ourselves in a very American way on how fast we can get the job done well. One cannot help but call Xavier’s work “spiritual,” and I mean this only in a good way, not as a stereotype or a caricature. You could only call our work “spiritual” in a very narrow but perhaps equally beautiful way: the spirituality of Huck Finn, a very American spirituality. It was wonderful and important for me to encounter this difference and to reflect on it. 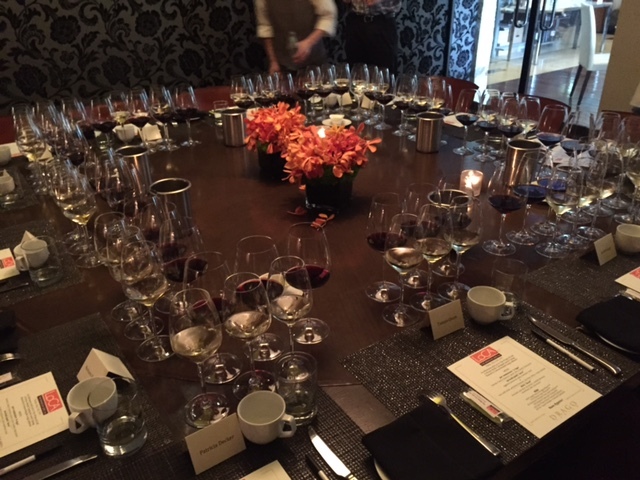 Would we– me, Alex, Brenna, Koko, would any of us make better wines if we sat with the press all night? I don’t think so– but for us to do that and not simply be aping a quiet wizard in the Loire, for us to do that, we would have to change to our deepest metaphysical core. In this respect, what this amazing visit emphasized is that, in spite of my 1000 careful words…winemaking is not fundamentally about technique, protocol, regime or even about care. It is about decisions and stances that reach to one’s roots. These two excellent reports by Betrand Celce are very helpful, especially on farming, and contain amazing details and photographs about Xavier’s caves. I tried not to rely on them at all and to base my report only on our conversation, but I know that I was influenced (and informed) by having read these. It is also worth noting how far ahead of the curve Betrand was: they date from 2011. 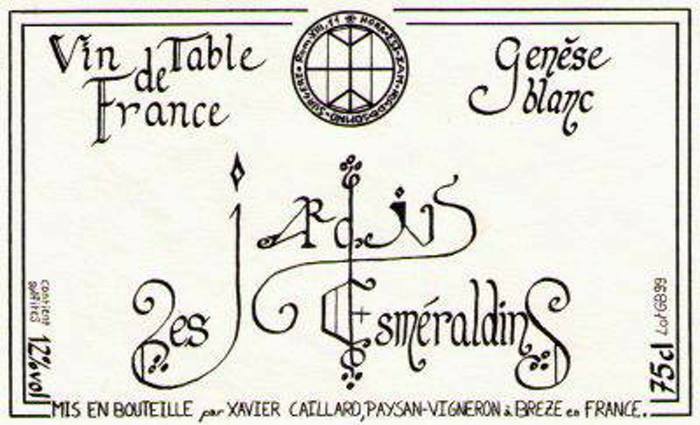 A note on Xavier’s labels: The typography is mostly fantastic (except for mise-en-bouteille information) and involves some straightforward imitations of Roman epigraphy in a circle at the top. (We will read this in a moment.) The rest of the words are written in the hand-drawn letters of a fantastic alphabet, the majority of which interweave alchemical symbols with the Modern Latin letters. The words in the circle are a quotation from the Latin Vulgate translation of Paul’s Epistle to the Romans: hora est jam nos de somno surgere — “now is the time to wake up from our slumber.” The allusions to alchemy are very interesting to me and not surprising. What is more unexpected is a quotation from the Vulgate. Xavier’s thinking is simple in its commitment and focus; but complex in what you might call its metaphysical underpinnings. Pay attention to every gesture. Michael Perlis here again. 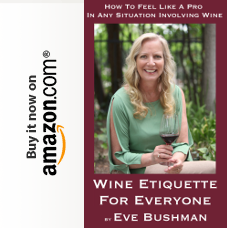 A big thank you to Abe Schoener for allowing me to share this with Eve’s Wine 101 readers. And a thank you to Eve Bushman too for indulging my wish to do so. (Santa Maria, Calif.) – An exciting new development has made its way into the Santa Maria Valley. 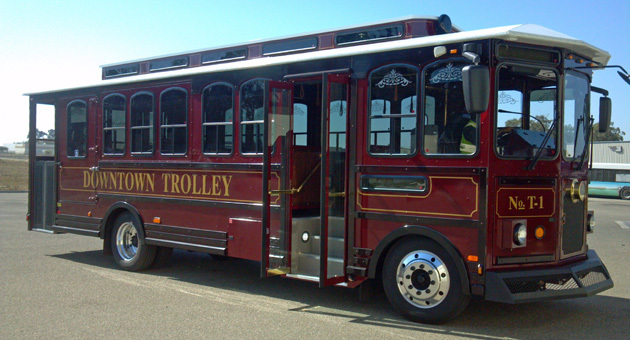 The Santa Maria Valley wine trolley will bring a whole new way of experiencing the wine region. Santa Maria’s new Downtown Trolley will transport consumers between shopping center serving a holiday shuttle this year. The vehicle is equipped with a classic trolley bell. The wine trolley runs from May – September (subject to change). The cost is $10 per person in advance, and $15 per person at the Trolley (transportation only), and is step on, step off, at your convenience. Tickets can be purchased at Ca’ Del Grevino Wine & Café Bar, Core Winery, Costa de Oro Winery, Cottonwood Canyon Winery, Nagy Wine Tasting Room, Old Town Market and the Santa Maria Valley Chamber of Commerce Visitor & Convention Bureau. Check the Santa Maria Valley website for pick-up times and locations. 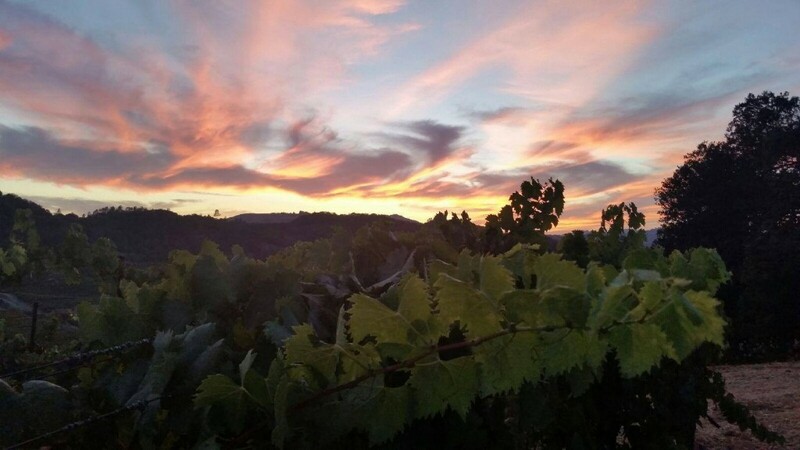 The Central Coast’s most historic wine lives in the Santa Maria Valley. 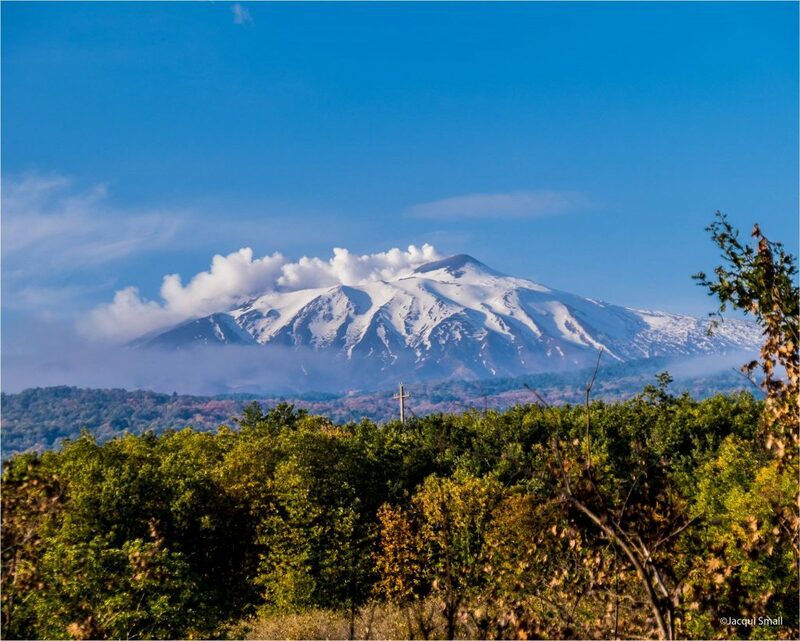 The area has the oldest appellation in the area and nearly two centuries of experience in growing grapes. The Santa Maria Valley is one of the most agriculturally diverse regions in the U.S. with a wealth of fruits and vegetables grown on the valley floor and vineyards hugging the hillsides. It’s a place where flavor runs rampant and taste buds can indulge because what they serve is grown, cooked and corked right here. The Santa Maria Valley has one of California’s longest growing seasons and a truly rare transverse geography resulting in the development of complex, flavorful and balanced grapes. Pinot Noir, Chardonnay and Syrah are our specialties. These are composed of well-drained soils that also contribute to exceptional fruit intensity and flavor concentration. The Santa Maria Valley is a recognized American Viticultural Area (AVA) within Santa Barbara County; the AVA encompasses one of the top wine regions in the world. The Travel Channel named the Santa Maria Valley The New Top 10 Cities for Wine Snobs. For more information, please visit santamariavalley.com. Serving the greater Santa Maria Valley in the heart of California’s Central Coast, the Santa Maria Valley Chamber of Commerce and Visitor & Convention Bureau is a nonprofit association that facilitates local tourism and provides information on the region’s many attractions and visitor services. Famed for its fine wines, natural wonders, agricultural heritage and flavorful barbecue, the Santa Maria Valley offers a broad range of cultural, sporting and historical experiences. For details on Santa Maria Valley lodging, wine tasting, travel deals and e-newsletter alerts, visit santamariavalley.com or call (800) 331-3779. Filed Under: Guests Tagged With: California, Central Coast, Chardonnay, fruit, grapes, Pinot Noir, santa maria Valley, soil, Syrah, u.s.